^ Thompson, S.; Ghiorso, A.; Seaborg, G. Element 97. Physical Review. 1950, 77 (6): 838. Bibcode:1950PhRv...77..838T. doi:10.1103/PhysRev.77.838.2. ^ 3.0 3.1 3.2 Thompson, Stanley G.; Seaborg, Glenn T. Chemical Properties of Berkelium. 1950. doi:10.2172/932812. （原始内容存档于2011-08-18）. ^ Thompson, S. G.; Cunningham, B. 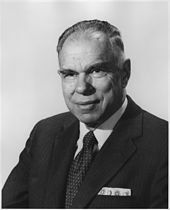 B.; Seaborg, G. T. Chemical Properties of Berkelium. Journal of the American Chemical Society. 1950, 72 (6): 2798. doi:10.1021/ja01162a538. ^ 6.0 6.1 Benedict, U. Study of actinide metals and actinide compounds under high pressures. Journal of the Less Common Metals. 1984, 100: 153. doi:10.1016/0022-5088(84)90061-4. ^ Assefa, Z.; Haire, R.G. ; Stump, N.A. Emission profile of Bk(III) in a silicate matrix: anomalous dependence on excitation power. Journal of Alloys and Compounds. 1998,. 271-273: 854. doi:10.1016/S0925-8388(98)00233-3. ^ 9.0 9.1 Peterson 1984, p. 45. ^ Fuger, J; Haire, R.G. ; Peterson, J.R. A new determination of the enthalpy of solution of berkelium metal and the standard enthalpy of formation of Bk3+ (aq). Journal of Inorganic and Nuclear Chemistry. 1981, 43 (12): 3209. doi:10.1016/0022-1902(81)80090-5. ^ 12.0 12.1 12.2 Peterson, J. R.; Fahey, J. A.; Baybarz, R. D. The crystal structures and lattice parameters of berkelium metal. J. Inorg. Nucl. Chem. 1971, 33 (10): 3345–51. doi:10.1016/0022-1902(71)80656-5. ^ 14.0 14.1 Itie, J P; Peterson, J R; Haire, R G; Dufour, C; Benedict, U. Delocalisation of 5f electrons in berkelium-californium alloys under pressure. Journal of Physics F: Metal Physics. 1985, 15 (9): L213. Bibcode:1985JPhF...15L.213I. doi:10.1088/0305-4608/15/9/001. ^ 16.0 16.1 16.2 16.3 16.4 16.5 16.6 Hobart, David E.; Peterson, Joseph R. Berkelium. (编) Morss, Lester R.; Edelstein, Norman M.; Fuger, Jean. The Chemistry of the Actinide and Transactinide Elements (PDF) 3 3rd. Dordrecht, the Netherlands: Springer. 2006: 1444–98. doi:10.1007/1-4020-3598-5_10. （原始内容 (PDF)存档于2010-07-17）. ^ Fahey, J. A.; Peterson, J. R.; Baybarz, R. D. Some properties of berkelium metal and the apparent trend toward divalent character in the transcurium actinide metals. Inorg. Nucl. Chem. Lett. 1972, 8 (1): 101–7. doi:10.1016/0020-1650(72)80092-8. ^ Ward, John W.; Kleinschmidt, Phillip D.; Haire, Richard G. Vapor pressure and thermodynamics of Bk-249 metal. J. Chem. Phys. 1982, 77 (3): 1464–68. Bibcode:1982JChPh..77.1464W. doi:10.1063/1.443975. ^ 19.0 19.1 Peterson 1984, p. 55. ^ Sullivan, Jim C.; Schmidt, K. H.; Morss, L. R.; Pippin, C. G.; Williams, C. Pulse radiolysis studies of berkelium(III): preparation and identification of berkelium(II) in aqueous perchlorate media. Inorganic Chemistry. 1988, 27 (4): 597. doi:10.1021/ic00277a005. ^ 24.0 24.1 Audi, G; Bersillon, O.; Blachot, J.; Wapstra, A.H. The NUBASE evaluation of nuclear and decay properties (PDF). Nuclear Physics A. 1997, 624: 1. Bibcode:1997NuPhA.624....1A. doi:10.1016/S0375-9474(97)00482-X. （原始内容 (PDF)存档于2008-09-23）. ^ Fields, P.; Studier, M.; Diamond, H.; Mech, J.; Inghram, M.; Pyle, G.; Stevens, C.; Fried, S.; Manning, W. Transplutonium Elements in Thermonuclear Test Debris. Physical Review. 1956, 102: 180. Bibcode:1956PhRv..102..180F. doi:10.1103/PhysRev.102.180. ^ NNDC contributors. Alejandro A. Sonzogni (Database Manager), 编. Chart of Nuclides. Upton, New York: National Nuclear Data Center, Brookhaven National Laboratory. 2008 [2010-03-01]. ^ Emsley, John. Nature's Building Blocks: An A-Z Guide to the Elements New. New York, NY: Oxford University Press. 2011: 58. ISBN 978-0-19-960563-7. ^ 28.0 28.1 Thompson, S.; Ghiorso, A.; Harvey, B.; Choppin, G. Transcurium Isotopes Produced in the Neutron Irradiation of Plutonium. Physical Review. 1954, 93 (4): 908. Bibcode:1954PhRv...93..908T. doi:10.1103/PhysRev.93.908. ^ Seaborg, Glenn T. Twenty-five years of radioisotope distribution and utilization. Isotopes and Radiation Technology. 1971, 8. ^ Magnusson, L.; Studier, M.; Fields, P.; Stevens, C.; Mech, J.; Friedman, A.; Diamond, H.; Huizenga, J. Berkelium and Californium Isotopes Produced in Neutron Irradiation of Plutonium. Physical Review. 1954, 96 (6): 1576. Bibcode:1954PhRv...96.1576M. doi:10.1103/PhysRev.96.1576. ^ Eastwood, T.; Butler, J.; Cabell, M.; Jackson, H.; Schuman, R.; Rourke, F.; Collins, T. Isotopes of Berkelium and Californium Produced by Neutron Irradiation of Plutonium. Physical Review. 1957, 107 (6): 1635. Bibcode:1957PhRv..107.1635E. doi:10.1103/PhysRev.107.1635. ^ 32.0 32.1 Peterson 1984, p. 30. ^ Hulet, E. New Isotope of Berkelium. Physical Review. 1956, 102: 182. Bibcode:1956PhRv..102..182H. doi:10.1103/PhysRev.102.182. ^ Milsted, J; Friedman, A.M.; Stevens, C.M. The alpha half-life of berkelium-247; a new long-lived isomer of berkelium-248. Nuclear Physics. 1965, 71 (2): 299. Bibcode:1965NucPh..71..299M. doi:10.1016/0029-5582(65)90719-4. ^ Williams, Kimberly; Seaborg, Glenn. New isotope 242Bk. Physical Review C. 1979, 19 (5): 1794. Bibcode:1979PhRvC..19.1794W. doi:10.1103/PhysRevC.19.1794. ^ Nucleonica. Nucleonica: Universal Nuclide Chart. Nucleonica: Universal Nuclide Chart. Nucleonica. 2007–2011 [July 22, 2011]. ^ 37.0 37.1 Peterson 1984, p. 32. ^ 40.0 40.1 Peterson 1984, p. 38. ^ High Flux Isotope Reactor. Oak Ridge National Laboratory. [2010-09-23]. ^ Радионуклидные источники и препараты. Research Institute of Atomic Reactors. [2010-09-26]. ^ Haire, Richard G. Einsteinium. (编) Morss, Lester R.; Edelstein, Norman M.; Fuger, Jean. The Chemistry of the Actinide and Transactinide Elements (PDF) 3 3rd. Dordrecht, the Netherlands: Springer. 2006: 1577–1620. doi:10.1007/1-4020-3598-5_12. （原始内容 (PDF)存档于2010-07-17）. ^ Porter, C. E.; Riley, F. D., Jr.; Vandergrift, R. D.; Felker, L. K. Fermium Purification Using Teva Resin Extraction Chromatography. Sep. Sci. Technol. 1997, 32 (1–4): 83–92. doi:10.1080/01496399708003188. ^ 46.0 46.1 46.2 Peterson 1984, p. 41. ^ Spirlet, J. C.; Peterson, J. R.; Asprey, L. B. Preparation and Purification of Actinide Metals. Adv. Inorg. Chem. Advances in Inorganic Chemistry. 1987, 31: 1–41. ISBN 9780120236312. doi:10.1016/S0898-8838(08)60220-2. ^ Peterson, J; Cunningham, B.B. Crystal structures and lattice parameters of the compounds of berkelium I. Berkelium dioxide and cubic berkelium sesquioxide. Inorganic and Nuclear Chemistry Letters. 1967, 3 (9): 327. doi:10.1016/0020-1650(67)80037-0. ^ 49.0 49.1 Baybarz, R.D. The berkelium oxide system. Journal of Inorganic and Nuclear Chemistry. 1968, 30 (7): 1769. doi:10.1016/0022-1902(68)80352-5. ^ 51.0 51.1 Peterson 1984, p. 51. ^ 52.0 52.1 Holleman 2007, p. 1969. ^ 53.0 53.1 53.2 Peterson 1984, p. 47. ^ 54.0 54.1 54.2 Young, J. P.; Haire, R. G.; Peterson, J. R.; Ensor, D. D.; Fellows, R. L. Chemical consequences of radioactive decay. 1. Study of californium-249 ingrowth into crystalline berkelium-249 tribromide: a new crystalline phase of californium tribromide. Inorganic Chemistry. 1980, 19 (8): 2209. doi:10.1021/ic50210a003. ^ 55.0 55.1 55.2 55.3 55.4 55.5 Greenwood 1997, p. 1270. ^ 56.0 56.1 56.2 Peterson 1984, p. 48. ^ Burns, J; Peterson, J.R.; Stevenson, J.N. Crystallographic studies of some transuranic trihalides: 239PuCl3, 244CmBr3, 249BkBr3 and 249CfBr3. Journal of Inorganic and Nuclear Chemistry. 1975, 37 (3): 743. doi:10.1016/0022-1902(75)80532-X. ^ 58.0 58.1 Ensor, D; Peterson, J.R.; Haire, R.G. ; Young, J.P. Absorption spectrophotometric study of berkelium(III) and (IV) fluorides in the solid state. Journal of Inorganic and Nuclear Chemistry. 1981, 43 (5): 1001. doi:10.1016/0022-1902(81)80164-9. ^ Keenan, Thomas K.; Asprey, Larned B. Lattice constants of actinide tetrafluorides including berkelium. Inorganic Chemistry. 1969, 8 (2): 235. doi:10.1021/ic50072a011. ^ Peterson, J.R.; Cunningham, B.B. Crystal structures and lattice parameters of the compounds of berkelium—IV berkelium trifluoride☆. Journal of Inorganic and Nuclear Chemistry. 1968, 30 (7): 1775. doi:10.1016/0022-1902(68)80353-7. ^ 61.0 61.1 Laubereau, Peter G.; Burns, John H. Microchemical preparation of tricyclopentadienyl compounds of berkelium, californium, and some lanthanide elements. Inorganic Chemistry. 1970, 9 (5): 1091. doi:10.1021/ic50087a018. ^ Peterson, J.R.; Cunningham, B.B. Crystal structures and lattice parameters of the compounds of berkelium—IIBerkelium trichloride. Journal of Inorganic and Nuclear Chemistry. 1968, 30 (3): 823. doi:10.1016/0022-1902(68)80443-9. ^ Peterson, J. R.; Young, J. P.; Ensor, D. D.; Haire, R. G. Absorption spectrophotometric and x-ray diffraction studies of the trichlorides of berkelium-249 and californium-249. Inorganic Chemistry. 1986, 25 (21): 3779. doi:10.1021/ic00241a015. ^ 65.0 65.1 Stevenson, J; Peterson, J. Preparation and structural studies of elemental curium-248 and the nitrides of curium-248 and berkelium-249. Journal of the Less Common Metals. 1979, 66 (2): 201. doi:10.1016/0022-5088(79)90229-7. ^ Damien, D.; Haire, R.G. ; Peterson, J.R. Preparation and lattice parameters of 249Bk monopnictides. Journal of Inorganic and Nuclear Chemistry. 1980, 42 (7): 995. doi:10.1016/0022-1902(80)80390-3. ^ 67.0 67.1 Peterson 1984, p. 53. ^ 69.0 69.1 Peterson 1984, p. 54. ^ Haire, Richard G. Californium. (编) Morss, Lester R.; Edelstein, Norman M.; Fuger, Jean. The Chemistry of the Actinide and Transactinide Elements (PDF) 3 3rd. Dordrecht, the Netherlands: Springer. 2006: 1499–1576. doi:10.1007/1-4020-3598-5_11. （原始内容 (PDF)存档于2010-07-17）. ^ Chadwick, M; Oblozinsky, P; Herman, M; Greene, N; McKnight, R; Smith, D; Young, P; MacFarlane, R; Hale, G. ENDF/B-VII.0: Next Generation Evaluated Nuclear Data Library for Nuclear Science and Technology. Nuclear Data Sheets. 2006, 107 (12): 2931. Bibcode:2006NDS...107.2931C. doi:10.1016/j.nds.2006.11.001.